Over the past couple of months, I have been fortunate enough to be on the receiving ends of some very cool foodie giveaways...and one particularly awesome surprise gift! 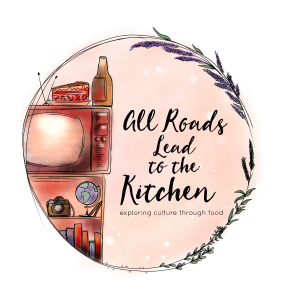 I'm sure most of you know what an amazing community of food bloggers are floating around...most of the people I've met are kind and giving of their time, advice, recipes and friendship. That being said I just wanted to send some quick shout-outs and thanks to several people. First of all...my surprise gift of Cardamom Pods! 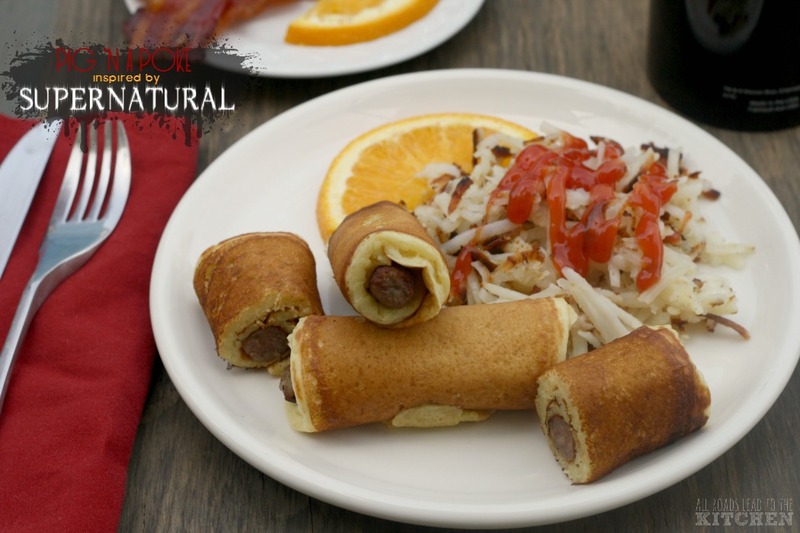 Thanks to the awesome Christo aka DoggyBloggy of Chez What? for sending me these beauties... A week of so ago, I had a recipe that called for cardamom seeds, but when I went out looking for them, I discovered that a tiny little bottle (something containing ~1 oz) cost in the area of $17.00! Ummmmmm...what!? Too rich for my blood. So I substituted and moved on. Well, substituted, voiced my opinion and then moved on. How awesome is it that he actually sent me a big bag full of cardamom pods to do with what I wish! 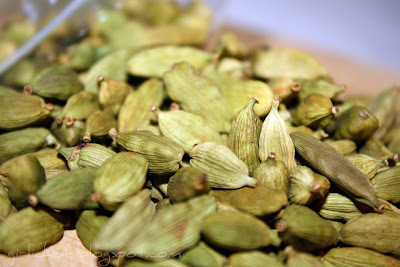 I cannot wait to start making some cardamom laced sweets & savories! 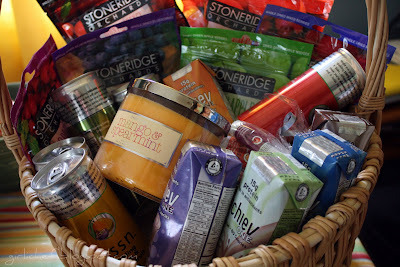 Thanks so much, Christo :) I recently had a delivery of this insanely HUGE basket full of goodies. I was the lucky winner of not 1, but 2 giveaways from Amanda aka HannahBanana of Nourish. This basket (from Skylar Haley) contained 6 different types of dried fruits (Montmorency cherries, Granny Smith Apples, Peaches, Blueberries, Raspberries and Mixed Berries). Have I ever mentioned that I love dried fruit? I soooo totally do. I'd never had dried peaches before...they were awesome. The kiddos loved each and every kind, too! The basket also contained some sparkling juices (like Meyer Lemon and Fuji Apple), some protein boost coffee drinks (oh yeah), an Energy drink (mmmm hmmm) and an amazing smelling Mango & Spearmint (natural based formula) candle. This was a basket filled with amazingly delicious goodies! The other giveaway I won from Amanda was a whole CASE of Zevia natural diet soda. That is a whole 24 cans! There was Cola, Ginger ale, Orange, Black Cherry, Root beer and Twist. 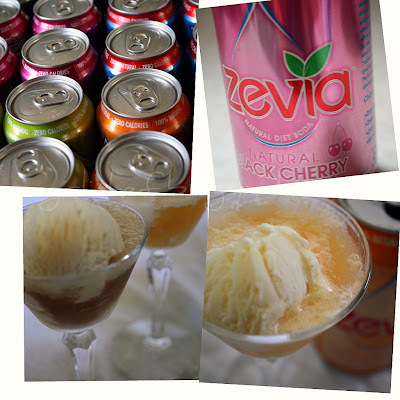 These sodas contain zero calories and are sweetened with Stevia Root (a natural sweetener). Although we don't drink much soda in our house, we do buy some from time to time. Surprisingly my favorite was the Black Cherry flavor. 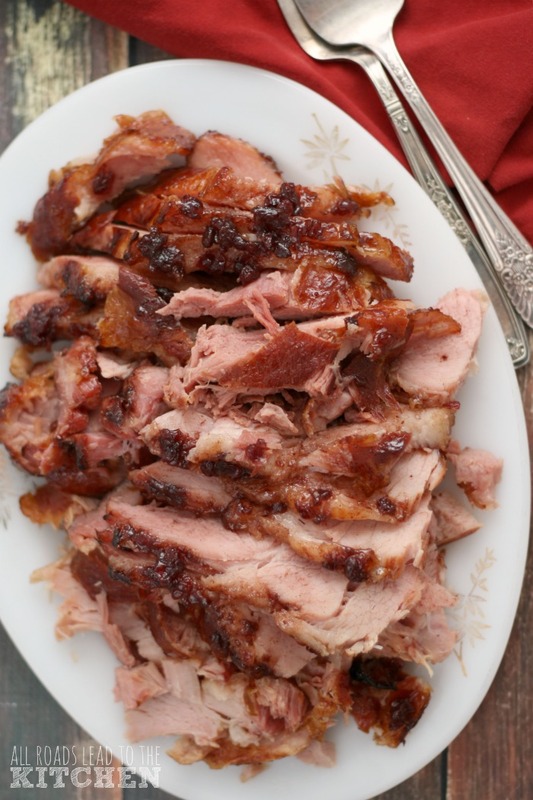 It's flavor was understated & perfectly sweet (not cloying). We also made some root beer floats and creamsicle floats....yummy! Thank you so much Amanda for these awesome prizes that I won. I loved them all! Another cool giveaway I recently won was a pack of goodies from the lovely Peachkins of The Peach Kitchen. These are not your my everyday goodies. They are Filipino snacks! So cool! The first thing I dug into surprise, surprise was the bag of dried mangoes!! While I love dried fruit...I really love dried mangoes! They were soft and smooth and full of sweet, mango goodness. Awesome! A few other things that we all loved were these Spicy Garlic snacks...which reminded me of CornNuts. 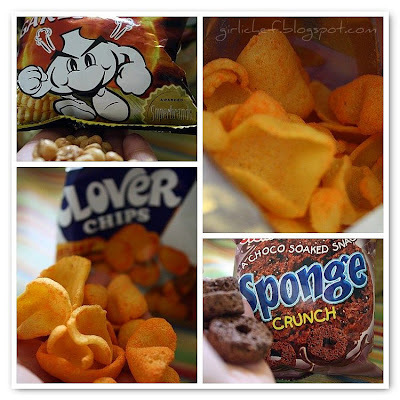 These awesome Clover Chips which were cheesy, puffed chip-like things. And these Choco Soaked Sponge Crunches! I didn't know what to expect when opening any of these...which made it all the more fun to dive in! Also in the package were some ramen-type noodle bowls and some seasoning packets which I haven't tried yet...but will soon...I cannot wait! 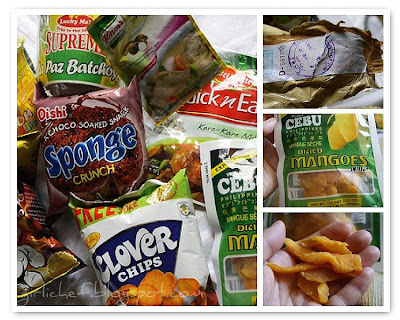 Thank you so much Peachy...I adore my snacks straight from the Philippines! And I finally have the cookbook Mastering the Art of French Cooking thanks to an amazing giveaway from Mary of Deep South Dish...of which I was the lucky winner! I have wanted this cookbook for years...and the release of Julie and Julia has only refueled the need to have it in my hot little hands! How awesome...I am taking my time and hungrily paging through it trying to decide what I want to make first. Thank you again...so much...Mary! I will cook & post something from it soon. 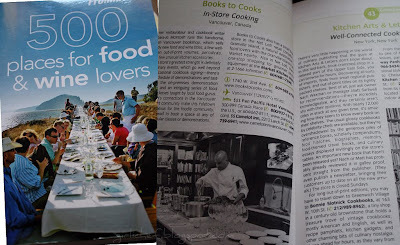 Last, but not least, I won this amazing Frommer's book called 500 Places for Food & Wine Lovers from Esme of Chocolate and Croissants. Perfect! I am drooling and daydreaming and scheming a way to get to at least a few of these places...soon! I am such a dreamer and this is definitely fuel for my fire...I am loving every minute of it. So, to all you other foodies, food lovers, gourmands, epicureans, gastronomes, hungry people out there...I know there are good people in this world. Kindness that touches you in some little way (like a bag of cardamom pods). I also know that it is possible for you to win that giveaway! Or maybe the next one...all you have to do is enter! You are ever so welcome and guh dang you sho' have won a lot of stuff! Wow, that's an amazing haul! 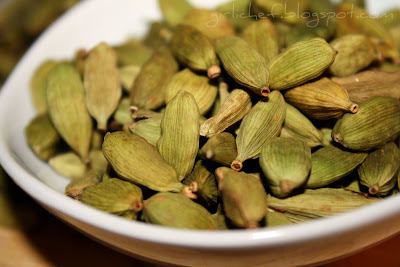 Cardamom is really expensive. I can't ever find the pods but I do have ground cardamom and it wasn't cheap. A little goes a long way though, and I tend to hoard it! What delicious goodies! I've been blessed the past few weeks too. Amanda sent me some soda which I was going to talk about on my post today - talk about timing! wow!! 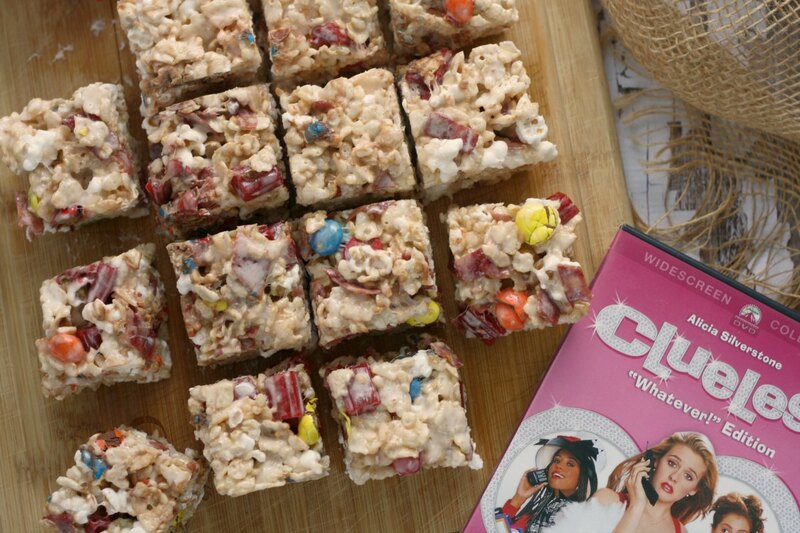 so much of the delish goodies!! you lucky girl!! Time to book that trip to Vegas, girlfriend! You're so lucky, we are happy for you! awesome post and very generous bloggers! Yipppeeeee! So happy to hear you enjoyed your haul! Great products, lots of very generous companies out there! Good things come in bunches. You've received some really cool things. You're one lucky gal. You are always kind and especially gracious to us newbies... Sometimes we get what we deserve. And I also love the new header. 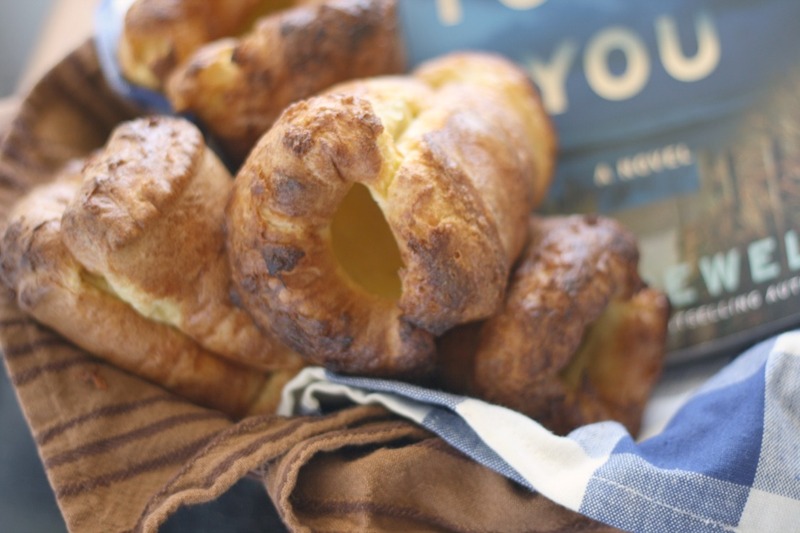 Now, what can you do with Cardamom pods and phyllo dough? It looks like you'd had yourself a good month for prizes. LOL. I YOu got some of my favorite snacks from back home. I love those mango, clover chips and corn nuts. Boy Bawang translates to "garlic boy." Amazing! That's a lotta stuff! oh my gosh - could you be more lucky!?? my fav is that someone sent you cardomom - that was very thoughtful and now you have enough for a small lifetime of curries - let the feasting begin! What a great batch of presents! It sounds like Christmas for a foodie! I bet it was a lot of fun to get all those goodies. I just got the pampered chef deep baker from beth at seventh level and I'm so excited about that. So much fun and so many great bloggers out there. Congrats!! It's always fantastic to try out something new. I love the Zevia sodas. Wow! With that luck I would be buying lottery tickets or going to Vegas! ;-) Good for you! Wow! Congrats on getting all the goodies! 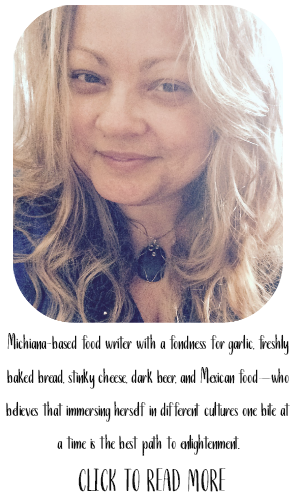 I do feel very fortunate...so much foodie fun...what more could I ask for!? Though I am quite sure that if I went to Vegas or played the lottery that my streak would abruptly come to an end. Though, I still would love to try my hand in Vegas...haven't been there yet! Damn girligirl, I am so jealous. What wonderful prizes you've won. I love those dried mangoes. I can just imagine the great recipes you'll be using all these wonderful treasures in. You rock my friend. Lucky lady!! Why is cardamom so expensive!! Wondering what you used as a substitute? I am totally jealous! I have a Julia Child cookbook too, and after seeing the movie, that's all I've been reading. Haven't made anything yet- but soon! rebecca...and coffee, I hear...I'm going to steep it into my morning cup of joe tomorrow! Quite a jackpot you have there... and a streak of good luck... Congrats! Wow, girli how the heck do you do it? Gift magnet? What amazing goodies! You hit the mother lode! Couldn't happen to a nicer person!! $17.00 for 1 oz of cardamom seeds? Are you kidding me??? I could probably get like a pound of that here! Well, maybe 1/2 pound. Still way better than 1 oz. Awesome bunch of goodies! oooo Cardamom... A Scandinavian necessity... Your gonna LOVE it! !